Credit: Photo courtesy of Miriam Tsalyuk. Researchers in Etosha National Park, Namibia, examined this question through an iconic mammal. “African elephants (Loxodonta africana) are ideal for this study – they have excellent cognitive abilities and long-term spatial memory,” lead author Miriam Tsalyuk of University of California Berkeley explained, “which helps them return to areas with better food and water. African savannas are unpredictable with a prolonged dry season, where knowledge of the long-term availability of resources is highly advantageous.” The study was published today in the Ecological Society of America’s journal Ecological Monographs. Using GPS collars, the researchers tracked the movement of 15 elephant groups for periods ranging from 2 months up to a little over 4 and a half years. Key to this study, Tsalyuk emphasized, were satellite-based imagery and observations, which were used to create detailed data on vegetation types and biomass. 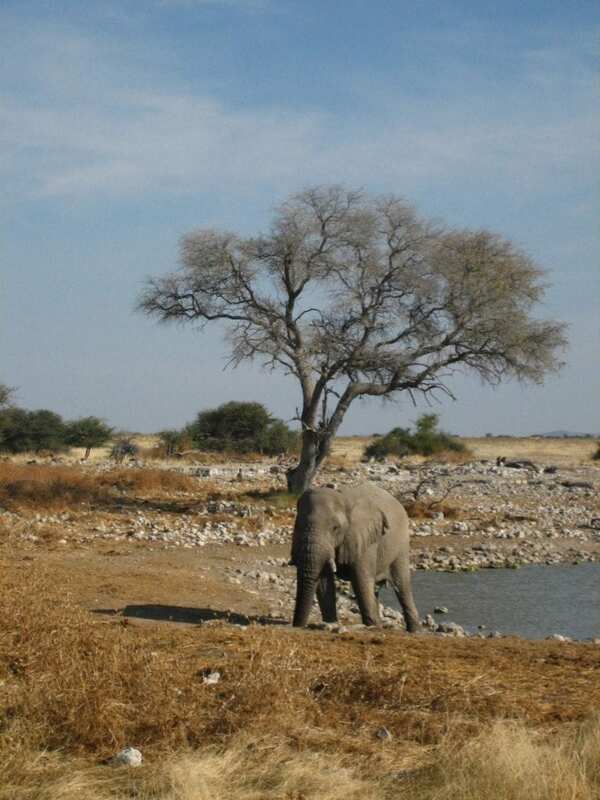 Together with maps of surface water and man-made constructs, Tsalyuk and her colleagues then correlated these variables with the elephant movement data to look for patterns in behavior. The researchers were also surprised about the variability of the elephants’ preference for resources – different vegetation types and water sources – over time of day and over seasons. Elephants are important ecosystem engineers – they control habitat conditions or availability of resources to other organisms. For example, they enhance plant diversity by suppressing tree cover and promote seed dispersal and nutrient transport, while dense elephant populations may cause vegetation degradation and tree damage. Unfortunately for these integral animals, elephant populations throughout Africa are in steep decline in the last decade due to poaching and greater restriction of their range. Miriam Tsalyuk, et al., 2019. “Temporal variation in resource selection of African Elephants follows long term variability 2 in resource availability.” Ecological Monographs. DOI: 10.1002/ecm.1348.